The legendary North Yorkshire dragon. 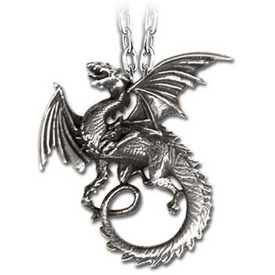 This Gothic pendant is hand cast and handmade from the finest English pewter and comes complete upon a nickel-free chain. This pendant is 58mm tall and 62mm wide and the chain is about 21" long.